For the second year in a row, more than 40,000 people died in car crashes – the steepest two-year increase in over 50 years. Don’t wait for the first incident to begin a defensive driving training program for all employees. Decide today to train your employees and protect your most valuable assets – your people and your company. 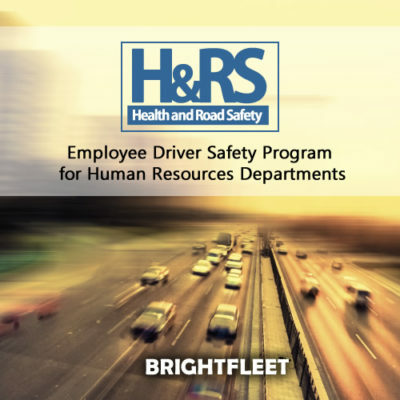 Train employees on driver safety, and implement the H&RS defensive driving safety program. Now is the time to train your employees about road safety, to improve their defensive driving skills – for safer commuting and driving for work. For your employees, a motor vehicle incident can have far-reaching effects on their life and family. For your organization, one serious injury or fatality can have a terrible impact on your business operations and bottom line. Employers pay for crashes that happen both on and off the job. 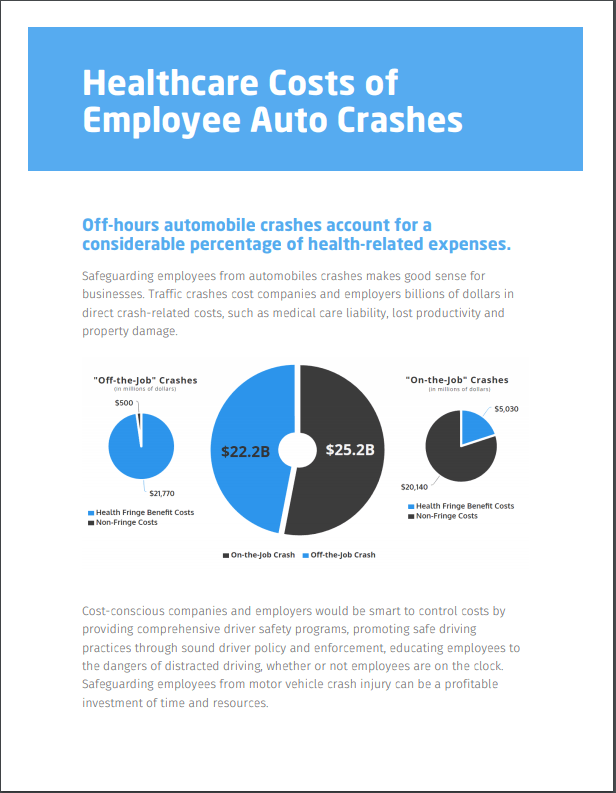 In their report COST OF MOTOR VEHICLE CRASHES TO EMPLOYERS—2015™ the Network of Employers for Traffic Safety (NETS) concludes that traffic crashes cost employers $47.4 billion in direct crash-related expenses which include medical care, liability, lost productivity and property damage. Motivate your employees to be safe and responsible drivers – because so much depends on the decisions they make while on the road. A new study says crashes caused by distracted driving tend to be more severe than others, raises the odds that a crash will cause severe injury or death, compared with other crashes, particularly if those distraction-related crashes involve rear-end collisions or occur in work zones or on interstate highways. 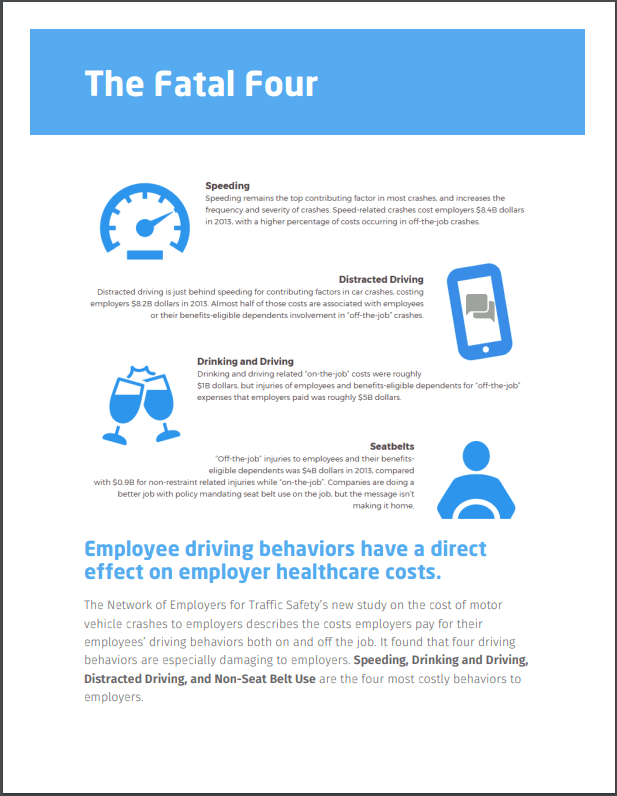 Our Health and Road Safety – HR safety training program is designed to significantly improve employee driving safety when they commute each day, by directly addressing (and correcting) the “fatal four” leading causes of traffic crashes.